Talk To Frank Genesee before you act. A guilty plea cannot be undone. What you need to know if you're facing domestic assault charges. If you are facing charges of domestic assault, you need to contact Frank Genesee right away. Domestic or spousal assault is a violent crime and the consequences of a conviction are severe and long-lasting. If you were charged with domestic assault and then released by the police, there were conditions that were attached to your release (your bail provisions). It is vital that you fully understand and comply with those conditions. If you violate the conditions attached to your release, you will end up back in jail, facing the additional charge of violating the terms of your release. 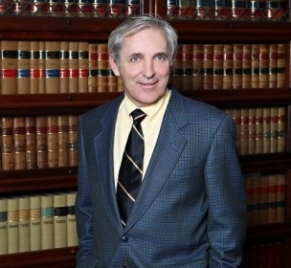 Frank Genesee, a criminal defence lawyer servicing the Hamilton area, frequently defends individuals from charges of domestic assault. Frank Genesee will make sure that you understand the charges against you, the conditions of your release, and your options going forward. Contact Frank Genesee as soon as possible at (289) 426-1644. A no-contact order may mean that you can’t go home. A no-contact order is the most common term attached to the release of a person facing charges of domestic assault. A no-contact order means that you are prohibited from having any contact with the alleged victim of the assault. If the assault victim is someone in your family, this often means that you will be unable to return home until the no-contact order has been lifted. In many cases of domestic violence, both family members want to get back together and move on. If a no-contact order is in place, they do not have this option. Contact Frank Genesee to have the conditions of your release changed before you contact the alleged assault victim or return to your home. Until you speak to Frank Genesee, follow the terms of your no-contact order to the letter. The Canadian government recognizes that not all incidents of domestic violence should result in criminal prosecution. In some instances, the family crisis that precipitated the assault can be better addressed outside of the criminal courts. In order to avoid criminal prosecution, you must assure the prosecutor of the alleged victim’s safety in the future. Frank Genesee knows how to help you make these assurances and have your case resolved outside of the court system. If resolution outside of the criminal justice system is not possible, then Frank Genesee will help you to prepare for and run your trial, getting you the best possible results no matter your circumstances. What is domestic violence? It is defined as any assault that occurs between family members. The most common form of domestic violence involves assault between spouses (either married or common-law). Most often, but not always, the husband is the offender and the wife is the victim. Domestic violence can also involve the assault of one’s children, siblings, parents, boyfriend or girlfriend. The violence itself can take any form: physical, psychological or sexual. The key aspect of domestic violence is the family relationship between the offender and the victim. The purpose of domestic violence laws. Canadian statistics indicate that once every six days a woman in Canada is killed by her spouse, boyfriend, ex-spouse or ex-boyfriend. Domestic violence accounts for a significant portion of the violent crimes reported in Canada, and it is estimated that only about 20% of incidents are ever reported. Because it is common for victims of domestic violence to be controlled by their abusers, domestic violence laws have been developed to protect those victims who are unable to help themselves. For example, many police forces have a “zero-tolerance” policy regarding laying charges in domestic violence cases. This means that if the police are called, they may lay charges, even if the alleged victim does not want them to. This policy has been shown to be more effective than putting the alleged victim on the spot in front of their spouse. However, it may also result in charges being laid in situations that might be better resolved outside of the criminal justice system. Domestic violence laws can be complicated. The conditions of your release can be complicated as well. It is vital that you understand both in order to successfully defend the charges against you. You need Frank Genesee on your side to ensure that you get the very best results possible. Call (289) 426-1644 today to arrange a free consultation.